Women’s pink satin dress from Austrian designer, Helmut Lang. 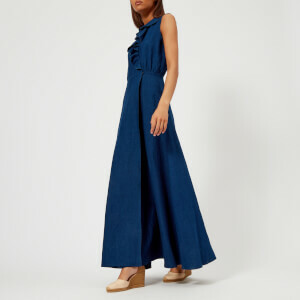 Cut for a long silhouette, the dress is designed with ruched detail to the centre front, knotted detail on the hem and a V-neck. The dress is detailed with a self-tie on the side slit that can be knotted and short capped sleeves. Complete with a seamless back and a concealed zip closure on the upper back.